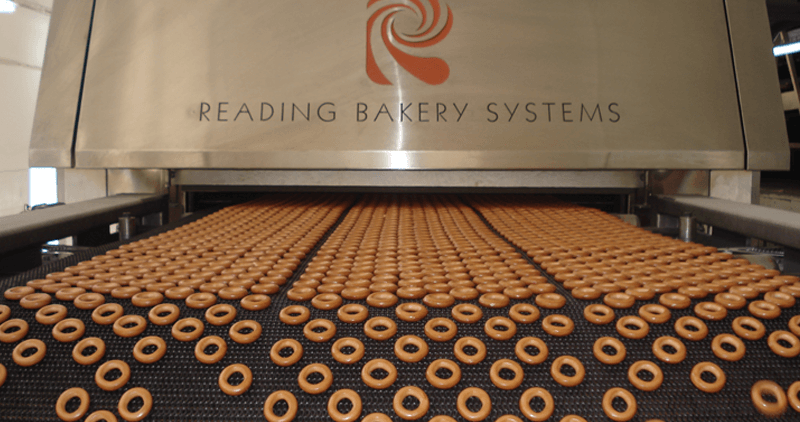 The Reading Pretzel SPECTRUM OVEN® is used to effectively bake a variety of snack products. 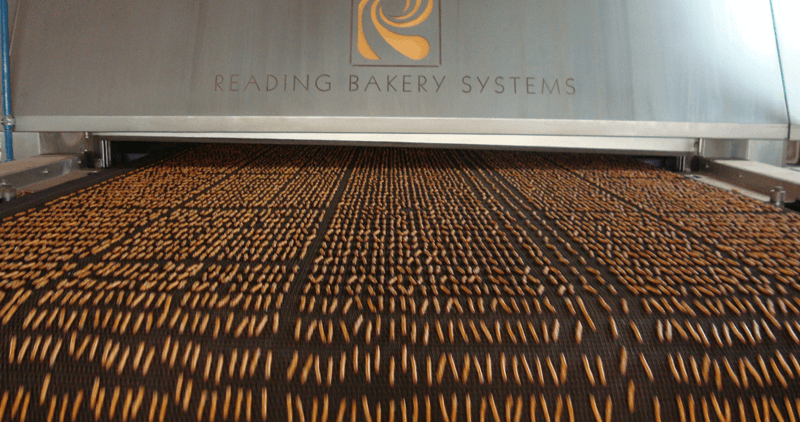 Baking chamber zones are offered with radiation, convection and conduction heat transfer options that enable specific – and repeatable – product characteristics. 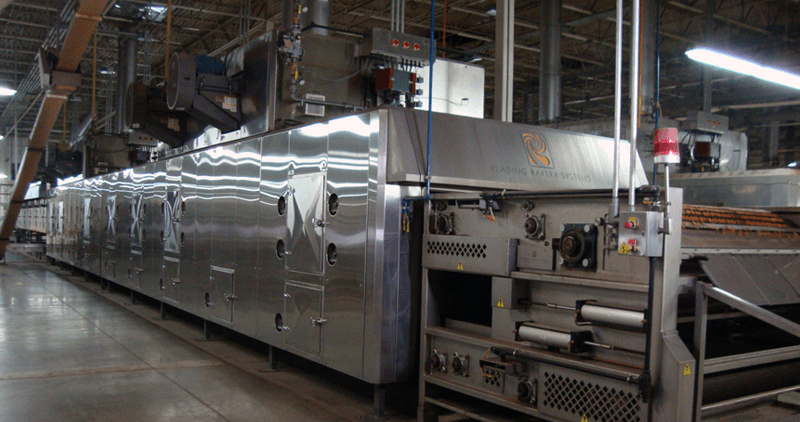 The Spectrum Oven system is Constructed and controlled as separate modules, allowing precise control of product quality. 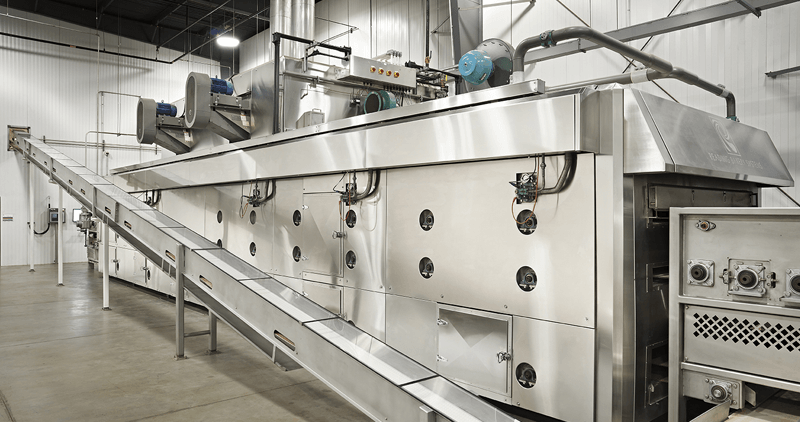 Operators can monitor and modify the way heat is distributed to the product during production. SMART Zone: Heat transfer in this zone is derived from both radiant and convection sources. 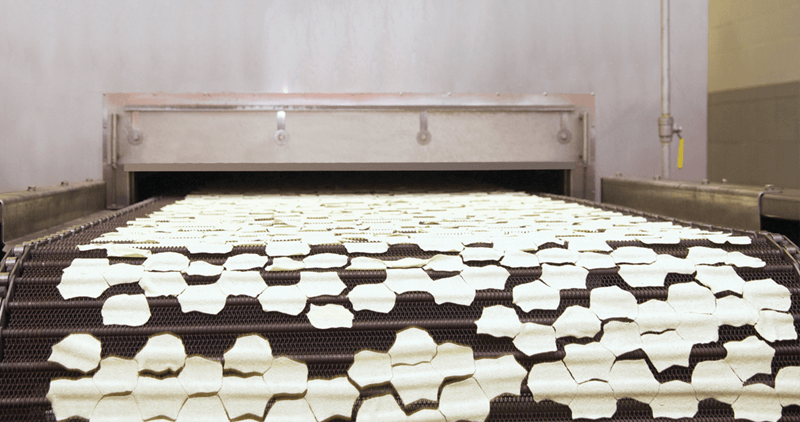 A convection plenum above the product band contains radiant panels mounted in-between openings in the plenum. Another convection plenum runs underneath the conveyor. Zone heat control is flexible and can be pure radiation, pure convection, or a combination of both. Convection Zone: This is used as a setting, coloring, or drying zone. Combustion and make-up air is heated in the penthouse and circulated into the baking chamber. The air is distributed to the product above and below the conveyor. 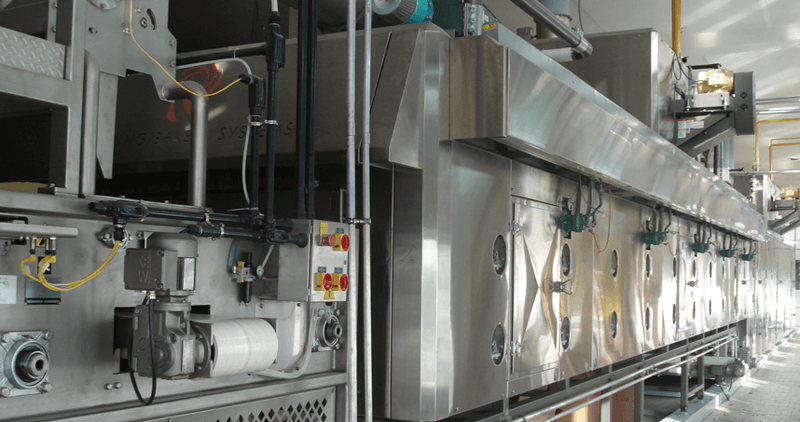 Control of the exhaust, air temperature and circulation velocity allow the operator to control the product moisture removal rate for maximum quality assurance. 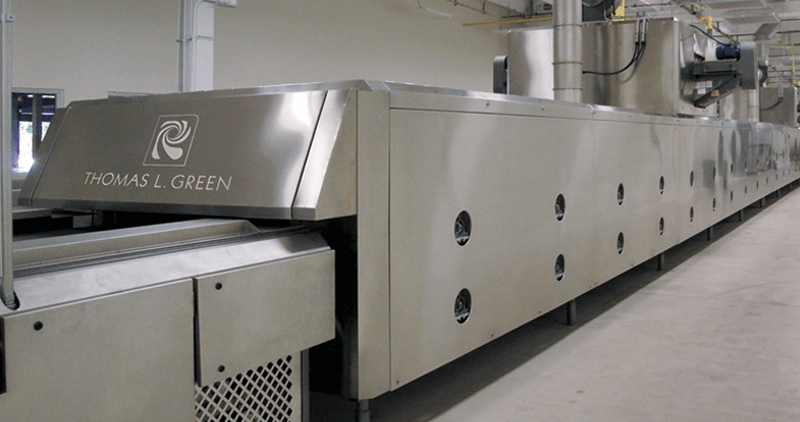 Convection Oven Over Kiln: This space saving zone combines a standard convection zone and mounts it over a kiln or drying zone. 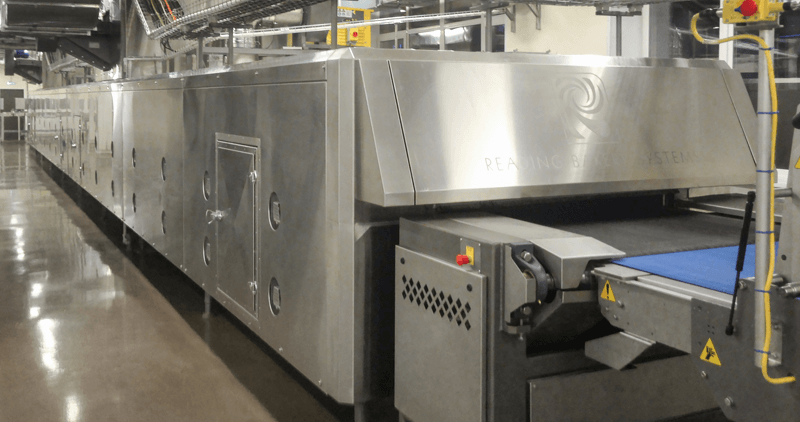 Product passes through the baking chamber and is transferred to a second conveyor running in the opposite direction through the dryer positioned beneath the oven zone. 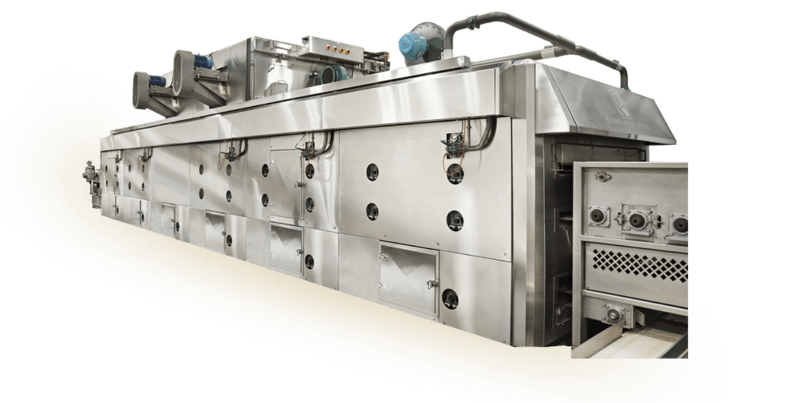 Separation of the baking and drying process permits more efficient production of products requiring long dry times or those with greater mass.